Transistor is an active component and that is establishing in all over electronic circuits. They are used as amplifiers and switching apparatus. As the amplifiers, they are used in high and low level, frequency stages, oscillators, modulators, detectors and in any circuit need to perform a function. In digital circuits they are used as switches. 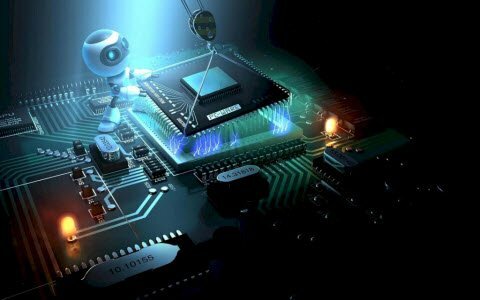 There are a huge number of manufacturers approximately the world who produces semiconductors (transistors are members of this family of apparatus), so there are exactly thousands of different types. There are low, medium and high power transistors, for functioning with high and low frequencies, for functioning with very high current and or high voltages. 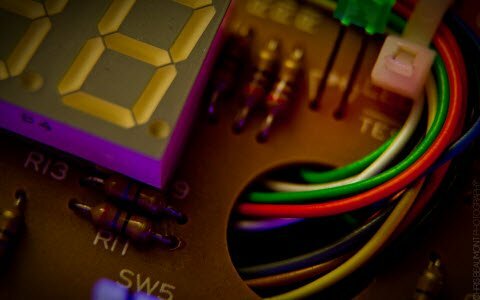 This article gives an overview of what is a transistor, different types of transistors and its applications. The transistor is an electronic equipment. It is made through p and n type semiconductor. When a semiconductor is placed in center between same type semiconductors the arrangement is called transistors. We can say that a transistor is the combination of two diodes it is a connected back to back. A transistor is a device that regulates current or voltage flow and acts as a button or gate for electronic signals. Transistors consist of three layers of a semiconductor device, each capable of moving a current. 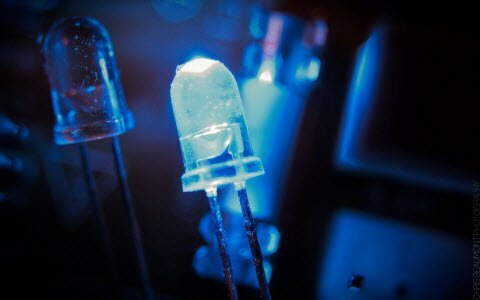 A semiconductor is a material such like that germanium and silicon that conducts electricity in a “semi-enthusiastic” way. It’s anywhere between a genuine conductor such as a copper and an insulator (similar to the plastic wrapped roughly wires). A diagrammatic form of n-p-n and p-n-p transistor is exposed. In circuit is a connection drawn form is used. The arrow symbol defined the emitter current. In the n-p-n connection we identify electrons flow into the emitter. This means that conservative current flows out of the emitter as an indicated by the outgoing arrow. Equally it can be seen that for p-n-p connection, the conservative current flows into the emitter as exposed by the inward arrow in the figure. 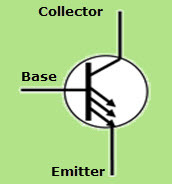 Bipolar Junction Transistors are transistors which are built up of 3 regions, the base, the collector, and the emitter. Bipolar Junction transistors, different FET transistors, are current-controlled devices. A small current entering in the base region of the transistor causes a much larger current flow from the emitter to the collector region. 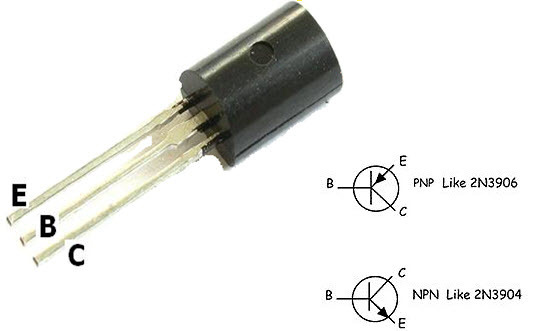 Bipolar junction transistors come in two major types, NPN and PNP. A NPN transistor is one in which the majority current carrier are electrons. Electron flowing from the emitter to the collector forms the base of the majority of current flow through the transistor. The further types of charge, holes, are a minority. PNP transistors are the opposite. In PNP transistors, the majority current carrier is holes. Field Effect Transistors are made up of 3 regions, a gate, a source, and a drain. Different bipolar transistors, FETs are voltage-controlled devices. A voltage placed at the gate controls current flow from the source to the drain of the transistor. Field Effect transistors have a very high input impedance, from several mega ohms (MΩ) of resistance to much, much larger values. This high input impedance causes them to have very little current run through them. (According to ohm’s law, current is inversely affected by the value of the impedance of the circuit. If the impedance is high, the current is very low.) So FETs both draw very little current from a circuit’s power source. Thus, this is ideal because they don’t disturb the original circuit power elements to which they are connected to. They won’t cause the power source to be loaded down. The drawback of FETs is that they won’t provide the same amplification that could be gotten from bipolar transistors. Bipolar transistors are superior in the fact that they provide greater amplification, even though FETs are better in that they cause less loading, are cheaper, and easier to manufacture. Field Effect Transistors come in 2 main types: JFETs and MOSFETs. JFETs and MOSFETs are very similar but MOSFETs have an even higher input impedance values than JFETs. This causes even less loading in a circuit. AlgaAs/GaAs heterojunction bipolar transistors (HBTs) are used for digital and analog microwave applications with frequencies as high as Ku band. HBTs can supply faster switching speeds than silicon bipolar transistors mostly because of reduced base resistance and collector-to-substrate capacitance. HBT processing requires less demanding lithography than GaAs FETs, therefore, HBTs can priceless to fabricate and can provide better lithographic yield. 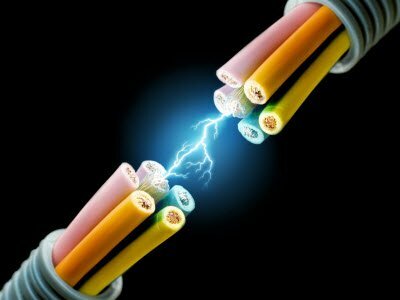 This technology can also provide higher breakdown voltages and easier broadband impedance matching than GaAs FETs. In assessment with Si bipolar junction transistors (BJTs), HBTs show better presentation in terms of emitter injection efficiency, base resistance, the base-emitter capacitance, and cutoff frequency. They also present a good linearity, low phase noise and high power-added efficiency. HBTs are used in both profitable and high-reliability applications, such as power amplifiers in mobile telephones and laser drivers. A Darlington transistor sometimes called as a “Darlington pair” is a transistor circuit that is made from two transistors. Sidney Darlington invented it. It is like a transistor, but it has much higher ability to gain current. The circuit can be made from two discrete transistors or it can be inside an integrated circuit. The hfe parameter with a Darlington transistor is every transistors hfe multiplied mutually. The circuit is helpful in audio amplifiers or in a probe that measures very small current that goes through the water. It is so sensitive that it can pick up the current in the skin. If you connect it to a piece of metal, you can build a touch-sensitive button. A Schottky transistor is a combination of a transistor and a Schottky diode that prevents the transistor from saturating by diverting the extreme input current. 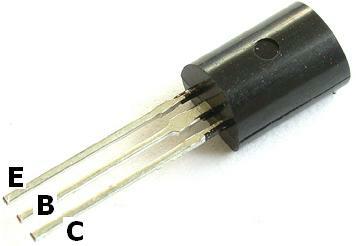 It is also called a Schottky-clamped transistor. A multiple-emitter transistor is specialize bipolar transistor frequently used as the inputs of transistor transistor logic (TTL) NAND logic gates. Input signals are applied to the emitters. Collector current stops flowing simply, if all emitters are driven by the logical high voltage, thus performing a NAND logical process using a single transistor. Multiple-emitter transistors replace diodes of DTL and agree to reduction of switching time and power dissipation. One form of MOSFET that is a particularly popular in several RF applications is the dual gate MOSFET. The dual gate MOSFET is used in many RF and other applications where two control gates are required in series. The dual gate MOSFET is fundamentally a form of MOSFET where, two gates are made-up along the length of the channel one after the other. In this way, both gates influence the level of current flowing between the source and drain. In effect, the dual gate MOSFET operation can be considered the same as two MOSFET devices in series. Both gates affect the general MOSFET operation and therefore the output. The dual gate MOSFET can be used in a lot of applications including RF mixers /multipliers, RF amplifiers, amplifiers with gain control and the like. The Junction Field Effect Transistor (JUGFET or JFET) has no PN-junctions but in its place has a narrow part of high resistivity semiconductor material forming a “Channel” of either N-type or P-type silicon for the majority carriers to flow through with two ohmic electrical connections at either end normally called the Drain and the Source respectively. 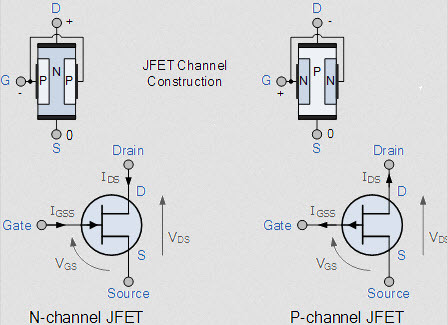 There are a two basic configurations of junction field effect transistor, the N-channel JFET and the P-channel JFET. The N-channel JFET’s channel is doped with donor impurities meaning that the flow of current through the channel is negative (hence the term N-channel) in the form of electrons. An avalanche transistor is a bipolar junction transistor designed for process in the region of its collector-current/collector-to-emitter voltage characteristics beyond the collector-to-emitter breakdown voltage, called avalanche breakdown region. This region is characterized by the avalanche breakdown, an occurrence similar to Townsend discharge for gases, and negative differential resistance. Operation in the avalanche breakdown region is called avalanche-mode operation: it gives avalanche transistors the capability to switch very high currents with less than a nanosecond rise and fall times (transition times). Transistors not particularly designed for the purpose can have reasonably consistent avalanche properties; for example 82% of samples of the 15V high-speed switch 2N2369, manufactured over a 12-year period, were capable of generating avalanche breakdown pulses with rise time of 350 ps or less, using a 90V power supply as Jim Williams writes. A diffusion transistor is a bipolar junction transistor (BJT) formed by diffusing dopants into a semiconductor substrate. The diffusion process was implemented later than the alloy junction and grown junction processes for making BJTs. Bell Labs developed the first prototype diffusion transistors in 1954. The original diffusion transistors were diffused-base transistors. These transistors still had alloy emitters and sometimes alloy collectors like the earlier alloy-junction transistors. Only the base was diffused into the substrate. Sometimes the substrate produced the collector, but in transistors like Philco’s micro alloy diffused transistors the substrate was the bulk of the base. 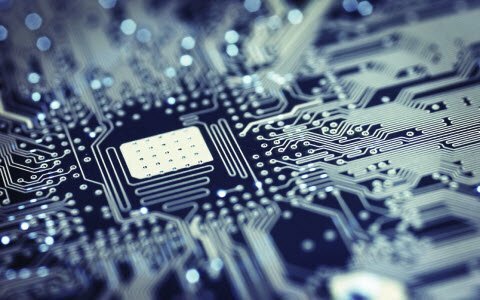 The appropriate application of power semiconductors requires an understanding of their maximum ratings and electrical characteristics, information that is presented within the device data sheet. Good design practice employs data sheet limits and not information obtained from small sample lots. A rating is a maximum or minimum value that sets a limit on device’s ability. Act in excess of a rating can result in irreversible degradation or device failure. Maximum ratings signify extreme capabilities of a device. They are not to be used as design circumstances. A characteristic is a measure of device performance under individual operating conditions expressed by minimum, characteristic, and/or maximum values, or revealed graphically. Thus, this is all about what is a transistor and different types of transistors and its applications. 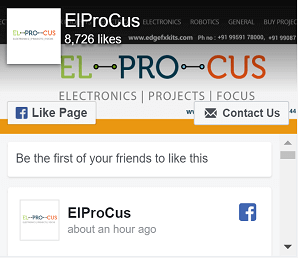 We hope that you have got a better understanding of this concept or to implement electrical and electronics projects, please give your valuable suggestions by commenting in the comment section below. Here is a question for you, what is the main function of a transistor? ‹ Previous How Integrated Circuits Work, Physically? Aw, this was a very nice post. In concept I want to put in writing like this moreover ?taking time and actual effort to make an excellent article?however what can I say?I procrastinate alot and by no means appear to get one thing done. The answer given was resourceful, thanks.